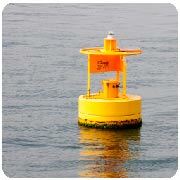 In this regard, we have been coordinators of research projects at a European level, developing innovative technology to minimize the environmental impact of the offshore aquaculture or the impact of brine discharge. Created with the objective of channeling the different products and services that came out from our R&D projects and activities, we have developed ECOStec, our technological brand. Following the Venturi project, in which ECOS participated, we have implemented improvements in the prototype from the Venturi+ project, beneficiary of the SME instrument call for Horizon 2020 of the European Union. Ongoing data collection and its management through methologies used in big data analysis allow us to accurately and precisely know what we are discharging. It lets us design the best management tools. 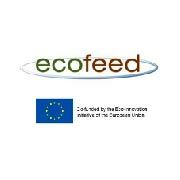 The ECOFEED Project, coordinated by ECOS, was implemented within the ECO-Innovation initiative, FP7 2013-2015. In the ECOFEED project, a feeding system to non-polluting offshore net cages was designed when injected in mid-depth and using feed with positive floatability, improving even the fish farming management by enhancing the feeding process.